Not a clear one because it depends on the speed of the artists. However, since I have to travel around and go to GDC for the Black Closet thing and will therefore be kind of distracted in March, I'm guessing probably not until April. All the routes should be scripted and ready for private testing next month but the art won't be finished for a while. 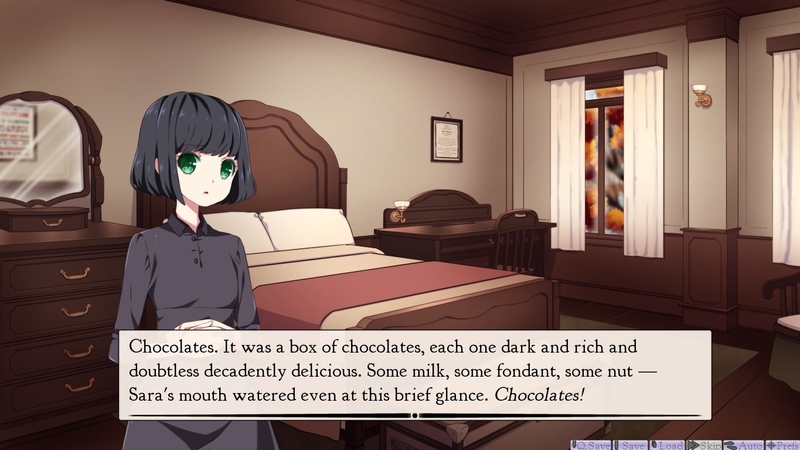 After Long live the Queen I'm never trusting chocolates in any video-game again. The icons sort of remind me of Littlewitch Romanesque. I think the only one that clashes for me is the running man - it's not the pixellated style, though, it's the surrounding colour. Your UI is all shades of purple and warm greys, and most of the other icons have colours that don't clash (pinks, light blues, pastelly greens) but that one has such a distinctive green that it really sticks out for me. If you can change hue at all, I'd go for a red-purple or something of the sort. It might be personal taste, but I would also consider making the centre box's opacity higher, too - I think the icons would look better on a solid background, rather than with the underlying motif visible. I think I'll try messing around with a few of the icons (the one in act 2 for pain is probably the hardest to make sense of) and then leave them until after the first testers have a chance to play and see what they think. I don't really have an opinion on the little icons, but the overall stat page is SO ADORABLE.